Yes the iPad will be out this weekend but just because many of you have got iPads for themselves doesn’t mean you should. There are alternatives too, yes thats right. You will be suprised at the list so read on. Before we get into further details ahead lets revisit the iPad. A refresher, the iPad is equiped with a 9.7-inch (1024×768) LCD display running iPhone OS 3.2 processed on a 1GHz Apple ARM A4 processor, and is available with either 16GB, 32GB, or 64GB of flash storage with options for Wi-Fi or 3G and a price tag of $500 to start with. With its battery life of 10 hours and access to thousands of applications (apps) it is more attractive than any other touch pads out in the market, or you thought so. The iPad however has some deficiencies. It does not come with a camera, not even a USB port. It does come with the Apple 30-pin port with a USB add on for camera as an option. It has a problematic keyboard and does not support multitasking which Apple has promised its OS 4.0 update will resolve it. It also does not play flash animated websites or anything to do with flash is not supported so all those graphic websites are out! Notion Ink’s Adam tablet is an Android-based tablet with a sleak design with a 16 hour battery life. With a screen size of 10-inches with an 1024×600 display, it is the stuff. It gets better. It carries a 3MP camera which tilts from front to back facing with USB and also a HDMI ports including flash support in the browser. An official release is yet to be done although some leaked video is available. Notion Ink is not a well known company in the US. 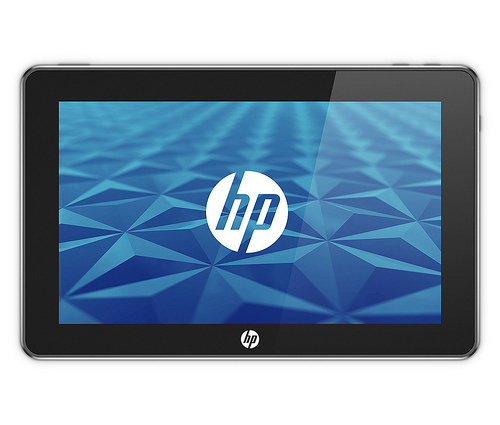 HP entered the slate market with Microsoft on board with its Windows 7 Tablet. To cost at about $540 it remains competitive with the iPad and will be launched in early June this year. The Windows 7 tablet fully supports flash and HP is using this as a reason to turn the market towards their side. The Dell Mini 5 Tablet is an Android based slate with a 5-inch LCD display making it small and light yet highly efficient and easy to use. It comes packed with a 1GHz Snapdragon processor with wireless technologies such as Wi-Fi, bluetooth and even 3G connectivity. It also has the ability to be and act like a complete cell phone with its ability to make phone calls and also comes with a whopping 5 MP camera. No pricing or release date has been given out by Dell yet. 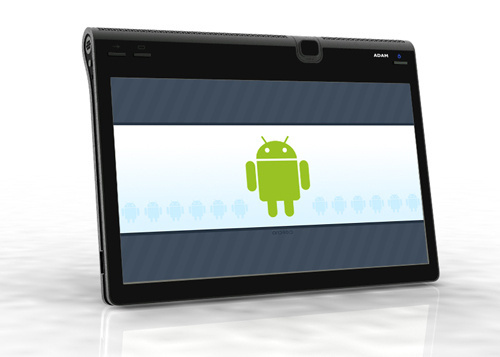 The Spring Design Alex is a dual-screen Android based ebook reader with one large display and a secondary LCD screen. It comes with the ability to run Android apps built by the users at the market place. 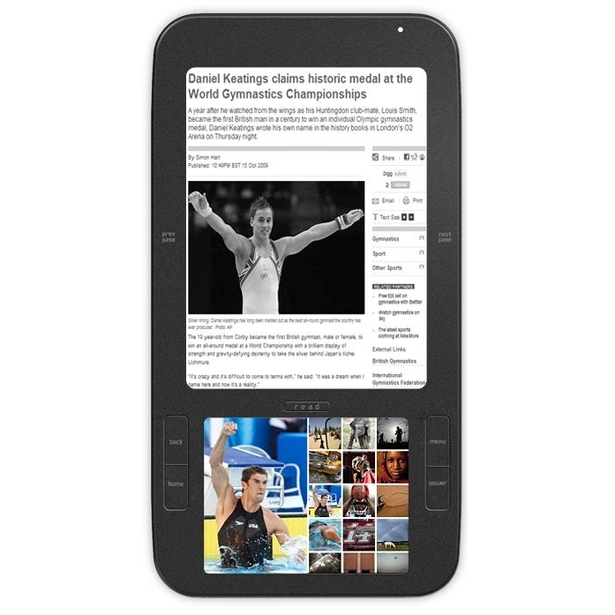 Alex has a smooth display for ebook readers and gives you the best of both worlds. Currently, you can only pre-order a Wi-Fi version. Alex has another unique feature where it would let you push the content from one screen to another seamlessly. Now you can navigate to a web page and move it to the bottom screen and view it later on another screen. 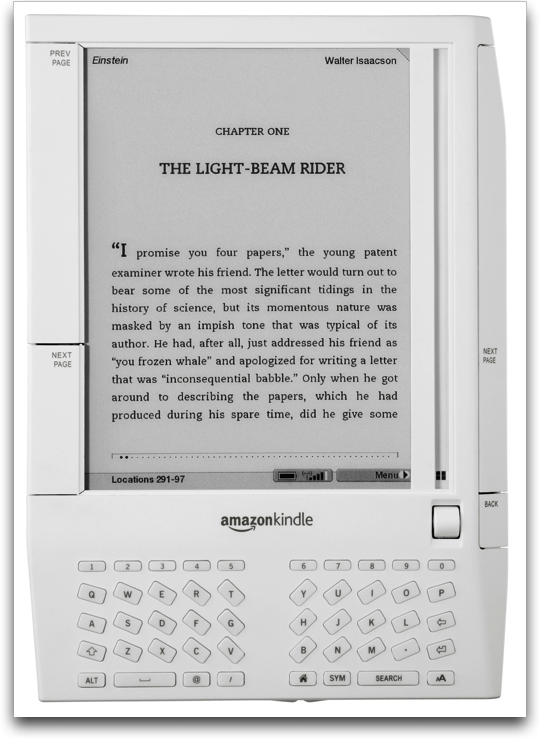 The Kindle, an Amazon product, is one of the earliest tablets available. With a crisp, sharp display and a good screen refresh rate it still has many users hooked to it. At $260 its about half the cost of that of an iPad and also comes with a lifetime of 3G connectivity which is included in the fee. One battery charge lasts for a week. Kindle has the black and white look because you don’t want to wear out your eyes reading a e-book off of a LCD screen which Apple offers. 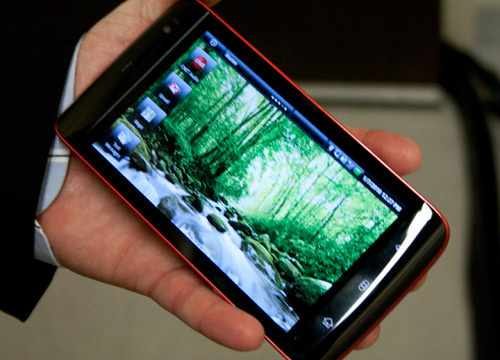 New Kindles are expected to have multitouch concepts and much more upgrades and improvements. So there you now have a choice to compare Apple iPad and choose what is really suited to you, are you just a ebook reader or are a businessman. What ever you may be doing these iPads are surely going to make your life easy! Previous Zune 4.5 update to be out soon, 64GB Zune HD?